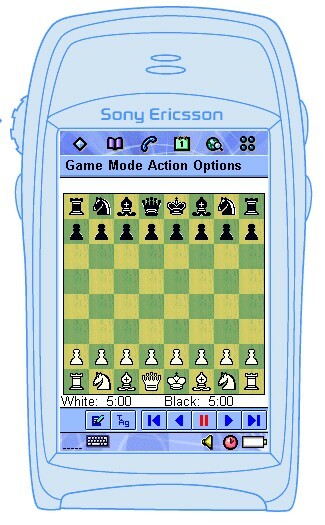 EChess is the port of Crafty (open source chess engine) and WinBoard (open source chess frontend) for the the SonyEricsson P800/P900 (Symbian OS version 7). Game engine is Crafty 18.13. EChess comes with Crafty's opening books (first 20 moves). Frontend is a port of Winboard 4.2. For flip open I've used the WinBoard bitmaps, for flip closed I've designed them myself. You can play white or black and change it during the game. You can also put EChess in edit mode, which means you can make legal moves for white and black. Files are saved in standard portable game notation format (pgn). Although EChess stores just one game per pgn file, it does handle pgn files with multiple games. When you load a pgn file, EChess will automatically replay the game for you, notifying you if there is an annotated comment (flashing comments button) for a move. There are lots of annotated chess games in pgn file format out there. You can change the tags and add comments per move, just as in the Windows version of Winboard; these will be stored as part of the pgn file. Easy toolbar controls allows you go back and forth in the game and examine your moves. 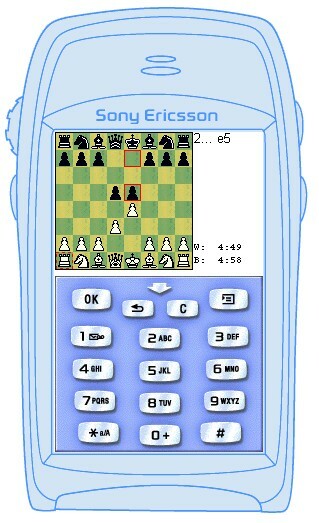 When moving away from the chess view, the games is automatically paused; alternatively you can pause the game manually. Crafty (the engine) will ponder in the background whilst it is your move. To preserve battery life, it will not do so when the game is paused. Time control. By default you play a 5 minutes - 40 moves game but you can change that to whatever you want. 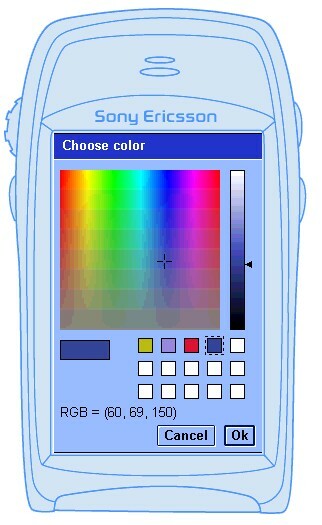 Options to change patterns and colors using EChess' built-in fancy RGB-color chooser. Flip closed chess board view. 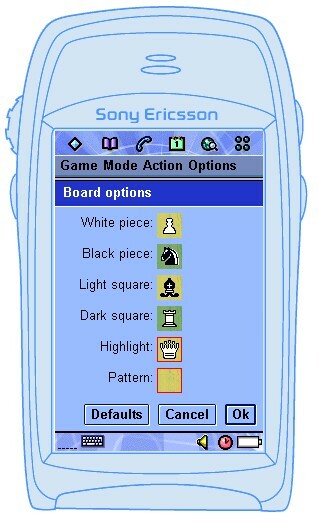 Although the functionality is somewhat limited, you can fully play chess in flip closed; use the jog dial to move pieces around. Pressing the C key toggles pause/resume and the back button takes you back to the standby view. Oh, and EChess is present in the FC apps list. For the experts: you can send commands to the chess engine from the "action" menu. Here's a list of the commands you can issue. You can also edit the crafty.rc file from within EChess for any option you like. Here's the crafty documentation online. Note that you have to restart EChess after changing crafty.rc. Latest version of EChess for the P800/P900 is 1.1. Download the .SIS file and install it on the P800/P900 as per normal. Rebuilt EChess with version 1.2 of ECompXL. Change directory to \chess\chessrec and build the project chessrec. Change directory to \chess\echessapp\group and build the project echessapp. Change directory to \chess\echess\group and build the project <echess. Change directory to \chess\engines\crafty\group and build the project crafty. Note that both crafty and echess are configured to use ECompXL. For some reason I can't get crafty to play random opening moves; it will consitently play the same one. If someone with more crafty.rc skills than me can shed some light on this then that will be appreciated. Some of the "patterns" used in the chess board views look horrible when you recolor them. If you have better ones then please send them to me; I will update them in the next version.